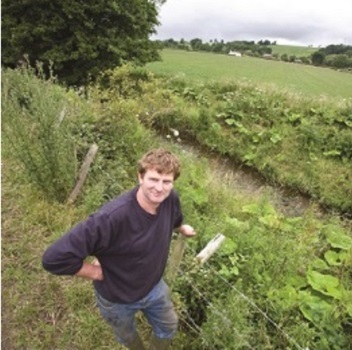 We’d like to remind farmers with oil storage tanks to check them to avoid oil leaks. Fuels and oils are essential for the operation of farm machinery and equipment and for heating, but are amongst the most frequent pollutants reported to environmental regulators. They can cause long term damage to both private and public water supplies and to wildlife. The risks are particularly high in rural areas where people have their own water supply, as oil can make the water unfit for use. An incident involving agricultural fuel oil in west Wales resulted in the temporary closure of a major public water supply in 2015. Oil spills during delivery, from storage tanks and when farm vehicles are refueled can also disrupt farming operations and may harm stock. Clean-up costs can be high and aren’t always covered by insurance. As a farmer you’re responsible for the safe management of all the oil on your farm. We recommend you check your oil storage tanks for damage, corrosion or leaks monthly and have them inspected by a competent person every year. Oil spill records show that underground feed pipes are a significant source of leaks and these should be checked regularly. Our advice on fuel oil storage for farms and horticultural businesses, emphasizes the need for supervision of deliveries and regular maintenance. The risk that an oil tank will leak increases as tanks get older, this applies to both plastic and steel tanks. We recommend you pay particular attention to tanks over ten years old. Poor installation can also contribute to leaks; the tank must be fully supported on firm foundations with easy access for filling. See our advice to help you look after your oil. The regulations for agricultural oil storage vary across the United Kingdom. Farmers in Wales are reminded that they have between 12 months and three years to ensure that their oil storage facilities comply with the law, depending on the location of their tank. Some farmers in England rely on an exemption from the requirements of the Silage, Slurry and Agricultural Fuel Oils Regulations, which means their tanks were installed before 1991. The lack of secondary containment and age of the tanks makes these installations particularly risky. Regular inspection and maintenance are vital for these installations, but replacement with modern equipment is the only way to minimise risk.